Huntly Community unites to celebrate Central Kids Huntly Kindergarten’s 60th Anniversary. On Friday, 16th November, Central Kids Huntly held a community lunch in celebration of its 60 years in the community. The community came out in force and the lunch was a huge success. In true community spirit, students from Huntly College catered and served a delicious lunch, sausage sizzle and provided some beautiful background music to guests as they mingled and relaxed. The children had their faces painted and enjoyed having the older children from Huntly College playing alongside them. Guests reminisced and took time to look through the photo albums highlighting the 60 years, with many recognising themselves in the pictures. 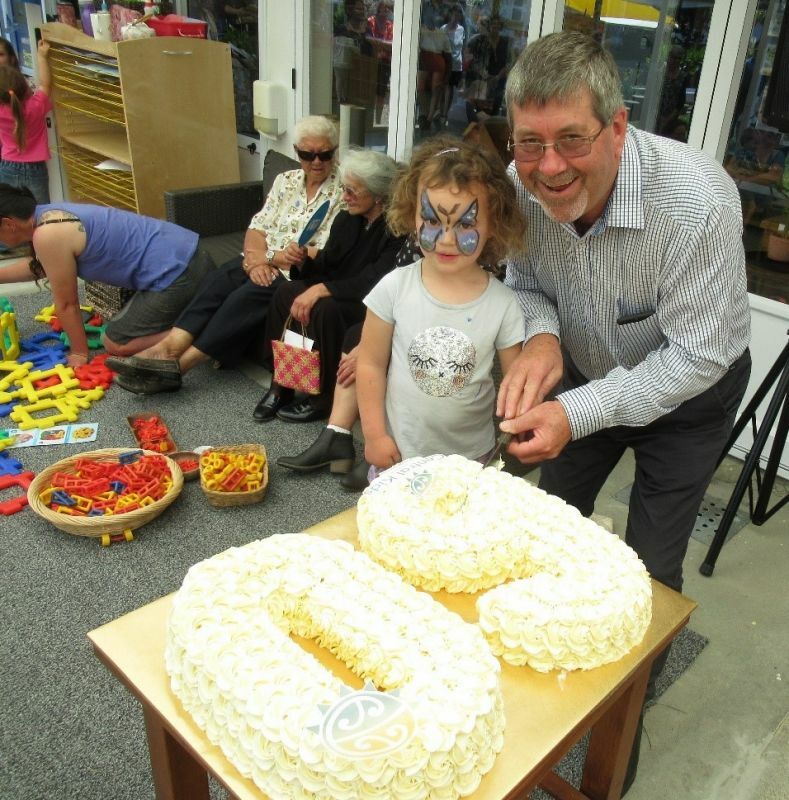 Mayor Allan Sanson spoke about the role the kindergarten plays in the community tot he guests, children and their whānau before cutting the cake with Savanah Edmonds who is currently at kindergarten. The team at Central Kids Huntly Kindergarten would like to thank everyone who took the time to join them in their celebration. It takes a village to raise a child, and today the village came out in force and celebrated alongside the children and the team.